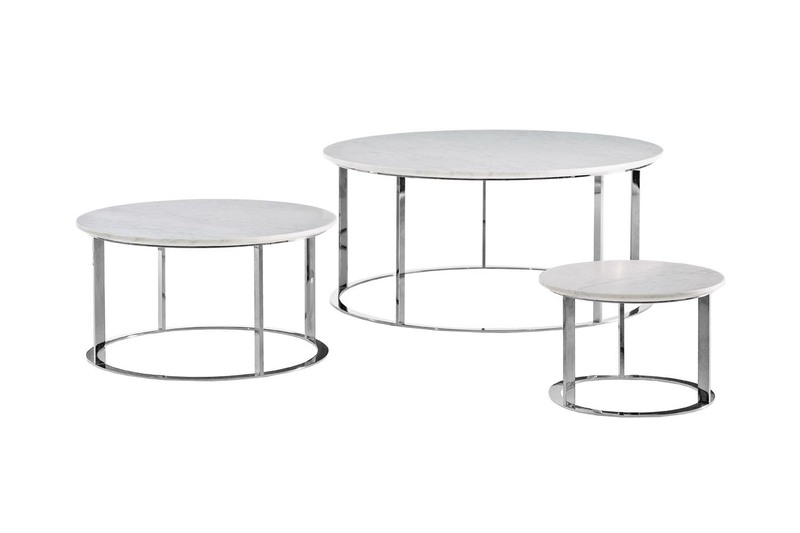 Versatile and compatible with different models, the Mera family of small round tables is available in four different sizes and heights. 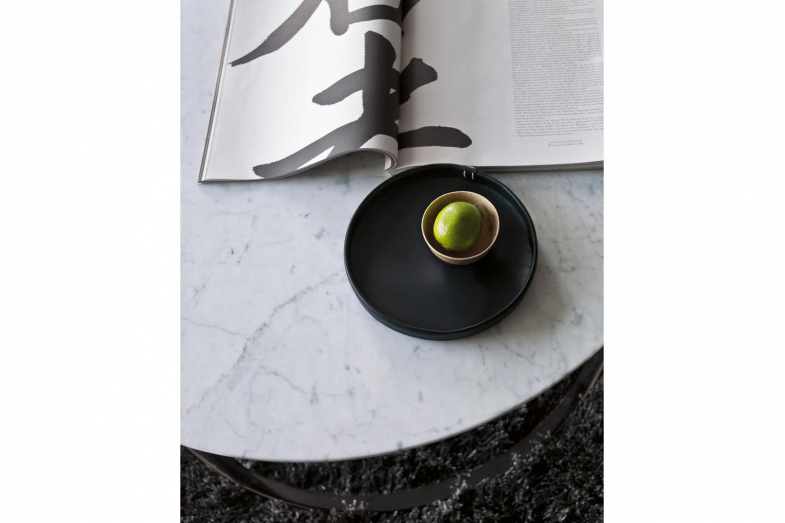 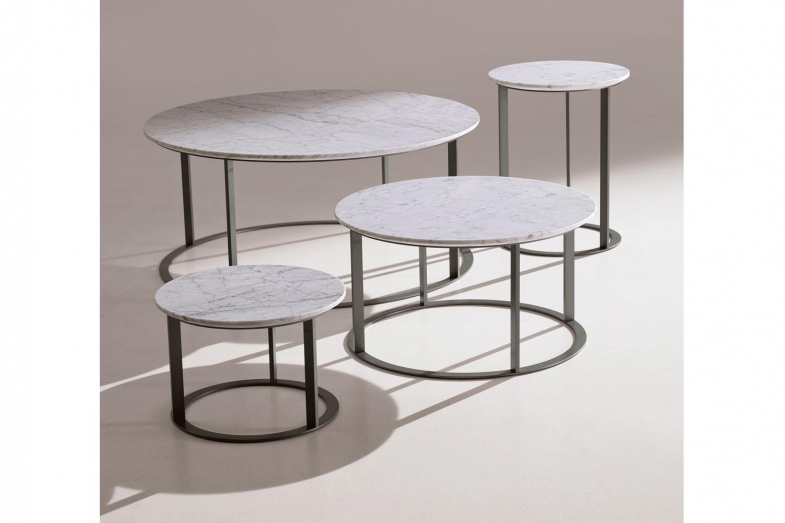 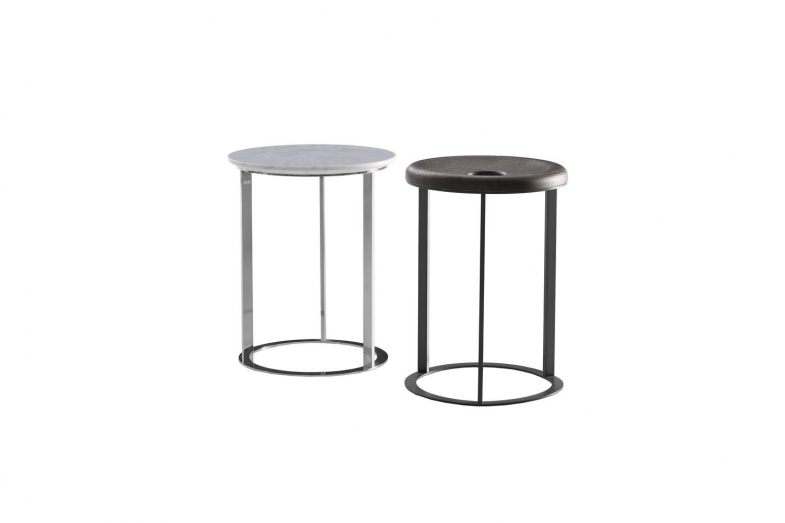 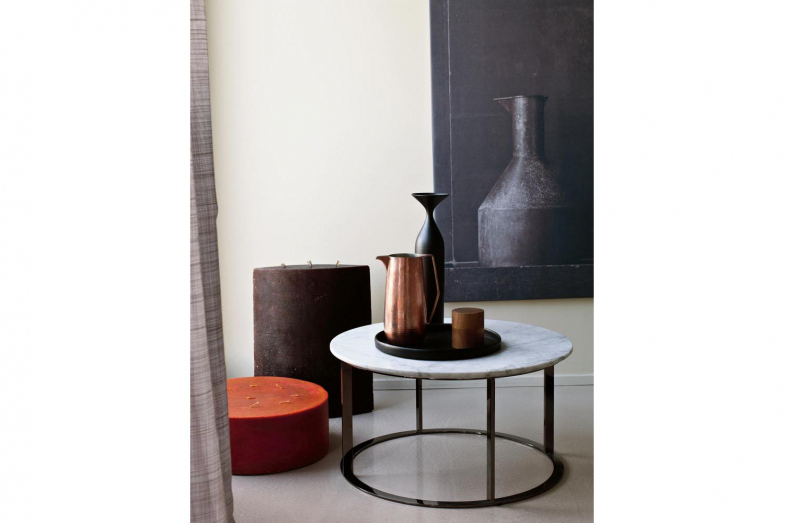 The top in white statuario marble with a tapered edge is connected with the circular metal structure available in glossy chrome-plated, black chrome-plated or painted bronzed nickel finishes. A table/pouf version has also been added to this collection with the turned top in smoked painted oak.